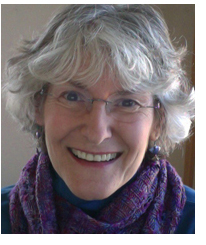 Patricia Bevan teaches, coaches and facilitates connecting compassionately with ourselves and others as an intention and a practice to foster individual and group wellbeing, peace, and powerful decision-making. She began studying the consciousness, principles, and skills of Nonviolent Communication (NVC) developed by Marshall B. Rosenberg, Ph.D. about 14 years ago. However, it was the shootings on the Virginia Tech campus in the spring of 2007 that focused her desire to offer her knowledge and skills in this subject to the wider community. She has developed and taught an undergraduate course in NVC at Virginia Tech and workshops in compassionately connectioning to staff and students of the university. She also has taught connecting with compassion in practice groups and workshops and facilitated group meetings using the principles of connecting with compassion for businesses, spiritual groups, and community groups in the New River Valley and surrounding areas. For over six years she facilitated a two-hour weekly community practice group whose purpose was to support anyone in the community interested in learning and growing in the practice of listening, speaking, and living with authenticity, clarity, open-heartedness, and compassion. She combines coaching with the principles and practices of compassionately connectioning to support individuals in a process of transformation that arises from deep awareness, curiosity, and commitment and that leads to greater fulfillment and happiness in their lives. She holds a master’s of science degree in human nutrition and enjoys combining this learning with her coaching skills to support people who wish to develop healthier eating practices for themselves and their families. She continues to study and practice NVC and related disciplines and to strive to live a life of connection and compassion because of the ever-deepening understanding, personal power, and sense of joy this study has brought to her life. She is a certified trainer with the international Center for Nonviolent Communication.